The employees at Hilary Meredith Solicitors are holding a Christmas raffle in order to make a donation to the Royal British Legion. Hilary Meredith Solicitors are always thinking of ways to raise money for worthwhile causes and having already this year entered a team in the Stoke Mandeville Spinal Injuries Experience, organised the Hilary Meredith Golf Classic Event and entered the Wilmslow Scarecrow competition all in aid of charity, they decided to dig deep for a Christmas event. 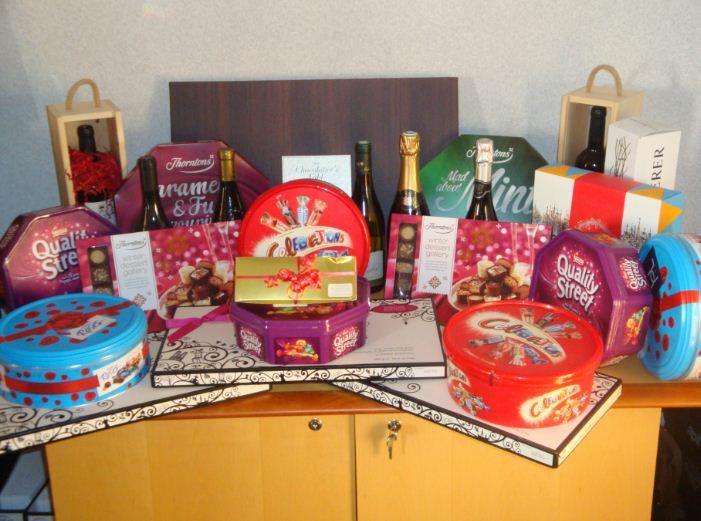 All the raffle prizes are gifts that have been sent into the law firm over the festive period. The employees are given the opportunity to purchase raffle tickets with the draw taking place just before the Christmas break. Hilary is Chairman of the Royal British Legion Solicitors Group of which she is a founder member in 1990.